I came to Delhi with my family from Rawalpindi. 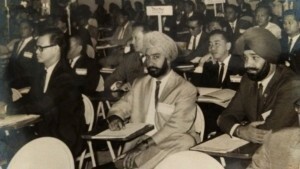 I joined Air India in 1954 under the leadership of the great JRD Tata. He was a visionary with strong leadership skills and a good administrator. 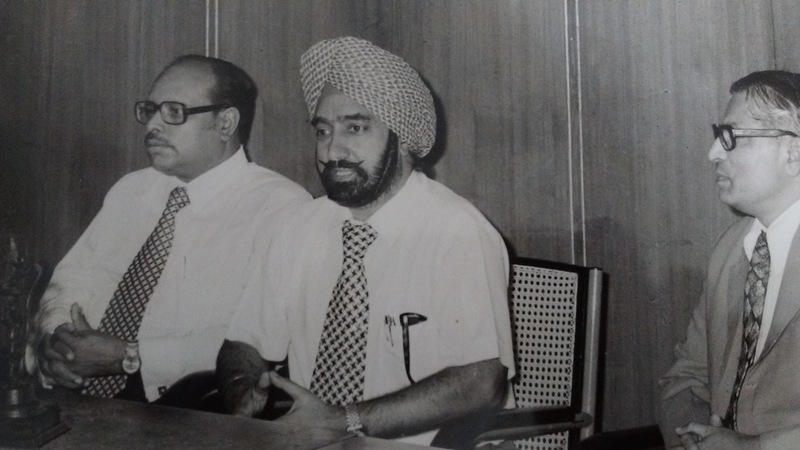 He built a culture of performance in Air India which motivated all of us to give our best to a young airline at that time. 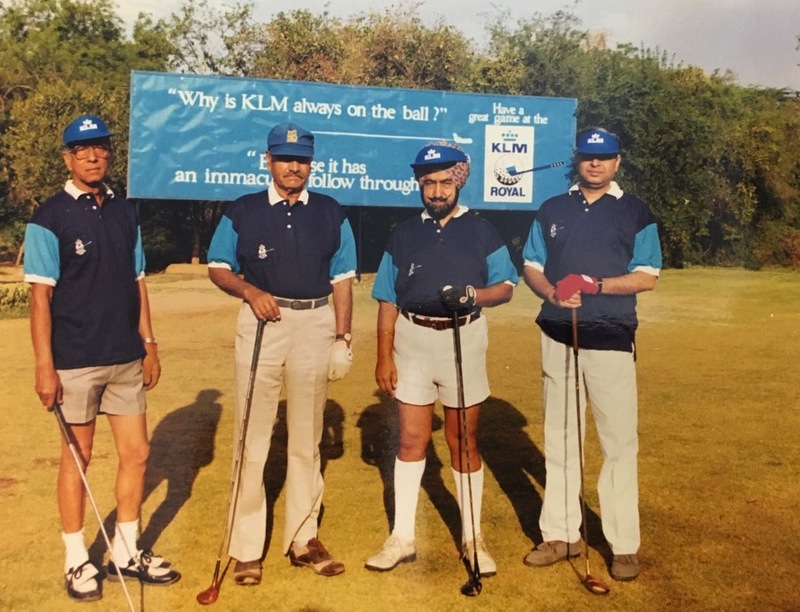 I was 24 years of age when I joined Air India, I was hired from Bangkok and I joined the marketing division. During my service not only did I get the opportunity to work in many cities of India but also travelled and worked in different countries like Thailand, Nigeria and Canada. Since I was always on the move, I could easily adapt to changing environments and each change was a learning experience. This helped me a lot and I was able to enjoy all the places I travelled to or stayed with my family around the world. From Bangkok I was sent to Madras then Jamshedpur and then to Calcutta. After that I went to Lagos (Nigeria) to open a new station. I was responsible for setting up everything right from scratch with the help of experts. 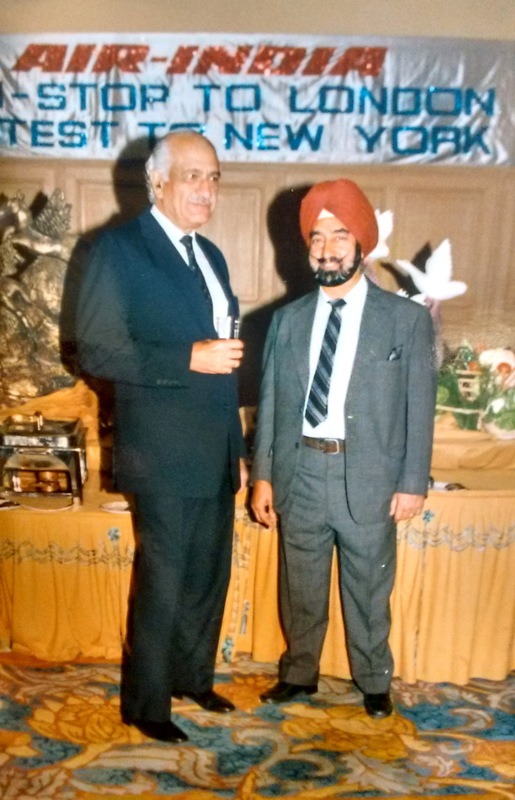 I was there for four years before moving to Vancouver (Canada) as the Area Sales Manager, during the three and half years I was posted there I was responsible for identifying business opportunities in Canada for Air India. Canada was my last international assignment. 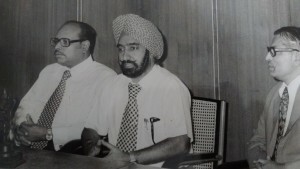 I returned in 1983 and joined at Palam in Delhi from where I later retired as Manager Northern India in 1985. I still remember what a wonderful team of colleagues and juniors I had. After serving for 34 years I retired in 1988 with a satisfied career and beautiful memories. 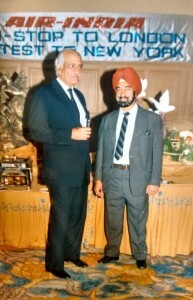 During my working years I got to meet famous personalities and celebrities. I met Pandit Jawaharlal Nehru, Dalai Lama, Prince Philip, V.V.Giri, etc. I still cherish the autographs of Dalai Lama and Pandit Nehru. I had the distinguished privilege of attending a dinner reception held in honour of Mr. V.V Giri – President of India. Now as I sit in my drawing room and look at these pictures I bask in the glory of days gone by and thank the almighty for giving me such a good life. I got married in 1956. My wife and children have always been my strength. I do remember the days I used to play scrabble with my wife. It was fun. I have one small scrabble set which we used to take along to all the places we travelled. My hobbies also include playing golf which I really enjoy. I have also been President of Toastmaster’s Club of Bangkok. Sometimes I feel people are more anxious, tense, and restless nowadays, probably because they do not value the blessings they have. Today life has become more materialistic and people are busy accumulating wealth rather than enjoying what they have. As Mirza Ghalib said” Mujhe kya bura tha marna gar ek baar hota.” (Why would I complain of dying, if it had occurred to me only once.) I feel one should be happy, satisfied and thankful to God for the blessings and live life fully. I have been coming to Samvedna Senior Citizen Centre for more than one year now. It is something which is a part of my routine. Initially my son found it more valuable for me and later I too realized the value of coming here. Cards, mind stimulation activities, talking to people and my favorite scrabble is what I enjoy with my friends here. Intellectual talks and special activities are conducted here from time to time where we interact and share our thoughts with one another. The activities conducted here are different and meaningful. I would like to share a beautiful couplet “Dosti aam hai lekin aye dost, Dost milta hai badi mushkil se.” Yes, I can’t have a good day everyday but most of the days are good for me here. At the end I will say, Samvedna Senior Citizen Centre is a good place to make new friends and learn lots of things.